Apple is a leader when it comes to innovation and technology. The company’s latest offering in the market is its exclusive MacBook range that tech enthusiasts are now buying. Gone are the days when you had to invest in the newest offerings in the market and flaunt it without knowing the product. Thanks to the advent of Internet and Technology, you will find that Apple MacBooks are intended for those users that are looking for security, quality, speed, power, and privacy. If you are about to buy an Apple MacBook, it is important for you to know more about them before you make the final purchase. For a novice, the Apple MacBook is just a name, and he or she might not be sure as to what it means. The MacBook, a unique notebook device,was launched by the famous brand, Apple. The first MacBook appeared in 2006. This brand of notebooks was launched again in 2015. The Apple MacBook series entered the market and took the place of the iBook and the PowerBook 12 inches series. They were sold as the low-priced devices of the MacBook series at that time. The MacBook was launched to target the education and the consumer markets. In fact, statistics reveal that these MacBooks have been the best-selling Macintosh that has been launched by the brand. 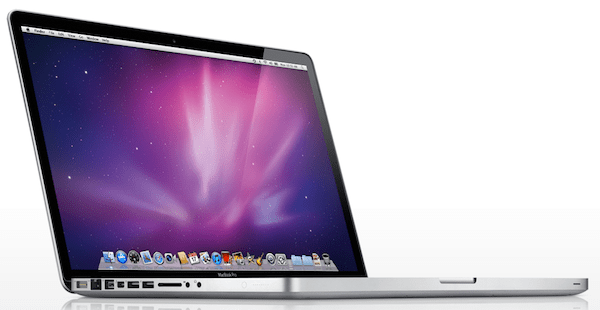 In 2008, the MacBook was one of the best-selling premium laptops across the world. Today, the MacBook Pro 13 inch Touch Bar is a device is that widely popular among users across the globe. Over the years, there has been four different looks and designs of the product. The first model was a combination of fiberglass and polycarbonate. It was developed and designed after the iBook G4. The next edition came into the market in 2008 with the MacBook Pro that has an expensive aluminum case however it did not have FireWire. The third model came into the market in 2009 and sported a polycarbonate case that was unibody in nature. However, Apple did not continue with MacBooks for some time. The fourth MacBook came back in 2011, and the model was called The MacBook Air. The price for this MacBook was reduced, and Apple started selling it to educational institutes till 2012. Today, Apple is selling a newly redesigned model of the MacBook launched in 2015. This device is available in the colors of silver, grey, and gold. It is now thinner than its predecessor The MacBook Air does not have the MagSafe port for charging. Therefore, the above is a brief insight into the Apple MacBook and its evolution since inception. The MacBook range is a huge hit today and users are happy with the impressive performance and functionality they get with it. It gives you design, durability, speed, power, and quality – it is indeed a good buy for your professional and personal use if you need to use a laptop on a regular basis!